'Mr Hawkes is a good critic, oriented towards history of ideas. He operates on the formula that Shakespeare was interested in the available distinctions between discursive and intuitive reason, and disliked a growing tendency for the first to be thought of as manly and the second effeminate. One sees how this action-contemplation polarity works, in Hamlet for instance, and Mr Hawkes thinks the kind of choices forced on tragic heroes can be better understood in terms of it.' Frank Kermode, New Statesman. 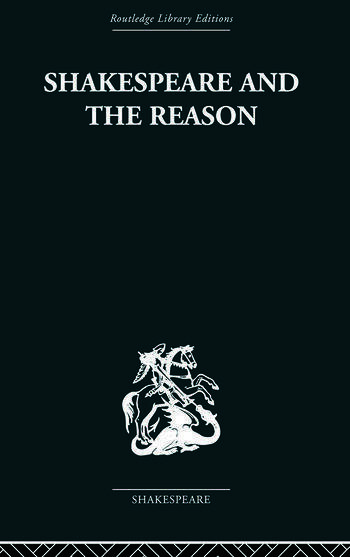 In the seven plays on which the book concentrates, Terence Hawkes finds Shakespeare investigating the operation of two opposed forms of reason, and constructing dramatic metaphors such as the opposition between appearance and reality, or that between true 'manliness' and its false counterpart, which express to the full the tragic nature of the situation.